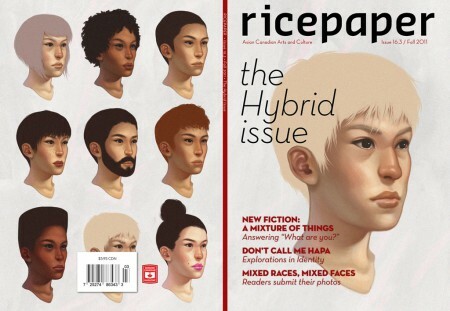 Ricepaper Magazine, an Asian Canadian arts and culture magazine, has just put out their new 16.3 issue, The Hybrid Issue! It features articles on how Asian Canadians negotiate the diversities in their own experiences as well as in their creative output. Other articles in this issue include excerpts from two plays that explore identity intersections, a creative fiction piece about hybridities at a hot dog stand, a critical piece on Canadian immigration policy, profiles of community authors such as C.E. Gatchalian and Haruko Okano, a reflection on why being called “hapa” isn’t so good, and photos of people of hybrid upbringings. I contributed a profile to this issue entitled “Hearing a Different Kind of Evangelical” (p. 54-57). The piece centers on Pastor Ken Shigematsu, the senior pastor of Tenth Church Vancouver and the one-time co-planter of Newsong Church with Dave Gibbons in Southern California. 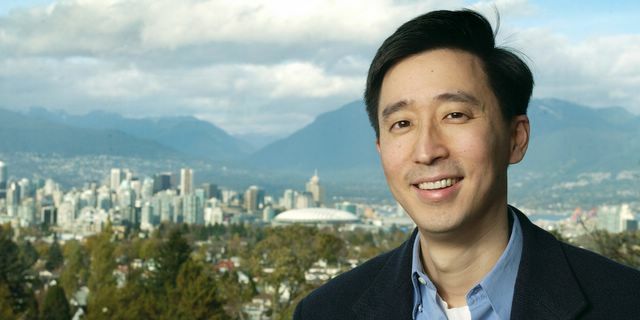 In the piece, I try to “hear” Ken as an “evangelical” and as an “Asian Canadian.” These two terms are badly misunderstood in popular circles (especially “evangelical”–I cannot begin to count the ways! ), and what Ken offers is a chance for us to hear these terms afresh, to see that both terms–at least for Ken and the good folks at Tenth Church–foster diversity, inclusivity, and hybridity across ethnic, class, and even religious lines, even if these terms previously stood for exactly the opposite in our minds. Tenth Church has a fantastic section of news clippings about the church. There’s plenty there about their policy interactions with the city, the way they’re perceived in the neighbourhoods they are in (Mount Pleasant and Kitsilano), and a very interesting Asian Canadian spin with Tenth on the Asian American “silent exodus” of second-generation Asian Canadian Christians from immigrant churches. You can get a copy of Ricepaper at any Chapters in the Lower Mainland, as well as most local bookstores. There’s also a subscription service! Get it: it’s our Asian Canadian arts and culture mag, and it really is all about promoting what happens in our community! I am returning to the San Francisco Bay Area for field research from 16 November to 20 December. If you have any leads or would like to be involved, please contact me at jkhtse@interchange.ubc.ca. I will be staying on the East Bay as a home base but will be able to commute throughout the Bay Area. This year, I am presenting two papers at the joint meeting of the American Academy of Religion and the Society of Biblical Literature. It will take place from 19-22 November 2011 in San Francisco, CA at the Moscone Center and surrounding hotels. Sunday, 20 September 2011, 3:00-4:30 PM. Sponsored by the Asian North American Religion, Culture, and Society, our theme is: Evangelism, Education, and Leadership: Transnational Strategies and Local Adaptations in Asian North American Religious Communities. Drawing from case studies of Evangelical Diasporic Chinese in Vancouver, Indo-Caribbean Hindu practices in New York City, and Japanese and European American Buddhists in Seattle, the papers in this interdisciplinary panel provide a comparative framework for considering ways that local Asian North American religious communities utilize cross-cultural and transnational strategies and frameworks in adapting to changing circumstances and traversing divisions shaped by generational, migration, ethnic, racial, and national boundaries. The papers also consider new challenges and tensions created by these strategies. Christian evangelism and proselytism has often been seen as a problematic form of religious imposition. Recent scholarship in religious studies, however, has been more ambivalent toward proselytization as they are caught between the tension of allowing religious duty while cognizant of colonial advances (Han 2009; Casanova 2010; Sturm and Dittmer 2010; Megoran 2010). This paper examines the grounded practice of Christian evangelism in a transnational Hongkonger church in Metro Vancouver in British Columbia through a nine-month congregational ethnography in 2008 that included 38 semi-structured interviews with 40 participants. First, evangelism is articulated as a strategy for eternal family togetherness that has created a demand for transnational speakers from Hong Kong at evangelistic meetings as well as a debate over the nature of second-generation English-speaking ministries. Second, Hongkongers practicing evangelism have unexpectedly found that this Christian practice breaks down everyday geopolitical barriers between themselves and new migrants from the People’s Republic of China (PRC). This paper thus portrays Christian proselytization as an ambivalent practice of intra-family and geopolitical reconciliation within a Chinese Canadian congregational context. Sponsored by the Institute for the Study of Asian American Christianity (ISAAC), the session is entitled: ISAAC Fifth Anniversary Celebration. As we prepare for the next five years of advocacy for the study of Asian American Christianity, we would like pause for a moment to reflect on our work. Please join us for our Fifth Anniversary Celebration in San Francisco two Saturdays from now. America, Return to God was a publication released by the Great Commission Center International in the late 2000s. Its premise was that the declining morality of American civil society, mainly in sexual practice, will lead to eschatological disaster for the nation. While praised by some evangelical leaders, it also garnered attention both in the secular press and among some Christians as what was perceived as a homophobic publication. What is seldom interrogated, however, is America, Return to God as a Chinese Christian missionary publication in the tradition of the Lausanne Movement. Such an analysis reveals a dilemma in Asian American Christianity by problematizing the conservative-progressive divide in these circles. This paper fills that gap in the literature. It argues that America, Return to God should be read as a Chinese evangelical compilation of American Christian articles on public morality as part of an effort to fulfill the Great Commission with social and cultural awareness of American issues. First, I perform a critical reading of America, Return to God, highlighting the theology of the nation at work in its articles. Second, I demonstrate that this publication is part of a Chinese Christian missionary effort on the part of its founder, Christian evangelical patriarch Thomas Wang, underscoring the integral role of Chinese Christians to global evangelical movements. Third, I reveal that America, Return to God presents Asian American Christianity with the dilemma of whether or not to allow conservative evangelical voices to speak for Asian American evangelicals. This paper advances Asian American Christian studies by beginning a conversation on how Asian American Christians have engaged America with their own particular theology of the nation. I welcome engagement on both of these papers and can be reached at jkhtse@interchange.ubc.ca.